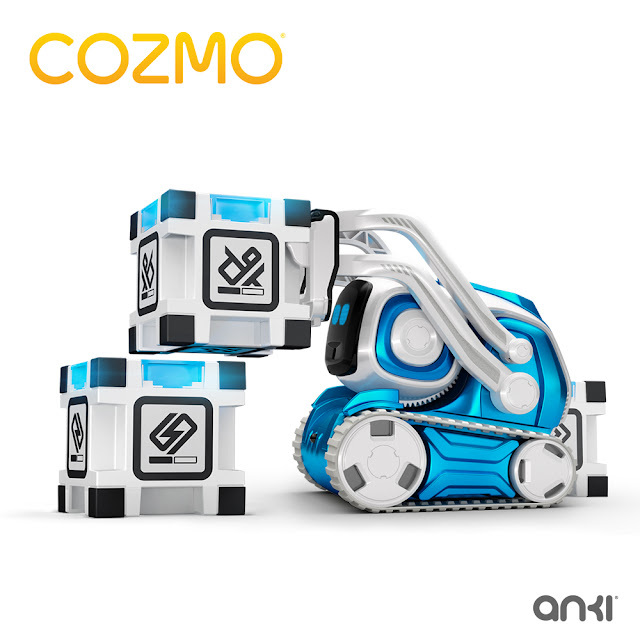 ANKI has announced a new limited edition version of the Cozmo robot in a new Interstaller Blue colour. Cozmo is a very cool little robot packed with artificial intelligence and personality. And our favourite feature is that Cozmo is now programmable via Code Lab, a visual programming tool. There's a lot happening in the Cozmo ecosystem with an app, user-generated content and a new software update on the way. Cozmo first launched 2 years ago and it looks like the little guy will be staying around for a while. It's certainly not the cheapest programmable robot out there but it is one of the most interesting and promises more longevity than the less expensive toys that are just around for one Christmas season and then get discounted and disappear. The new ANKI Cozmo Limited Edition in Interstellar Blue is due for release in November 2018, in plenty of time for Christmas. Look out for an upcoming hands-on review of Cozmo.